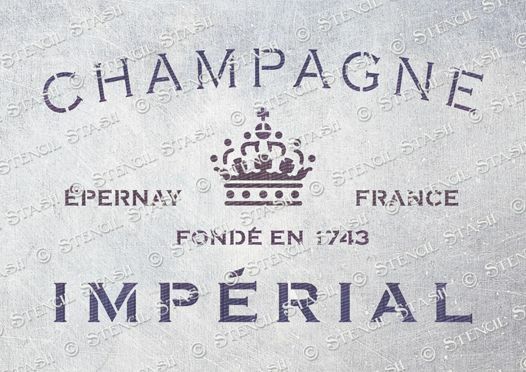 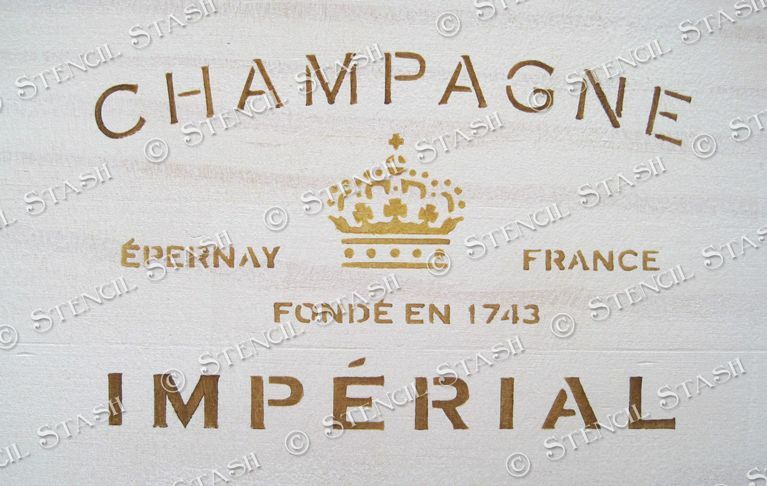 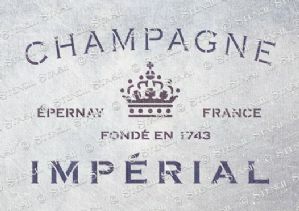 A vintage Champagne label stencil. 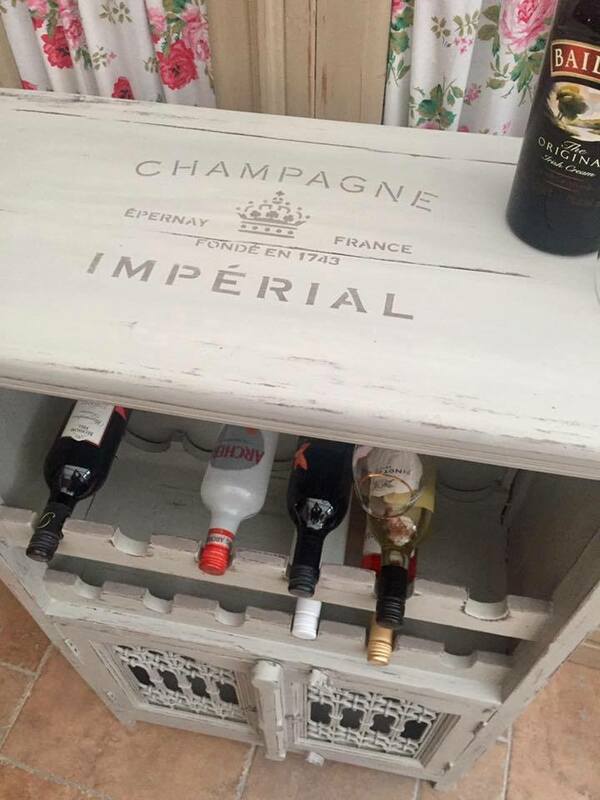 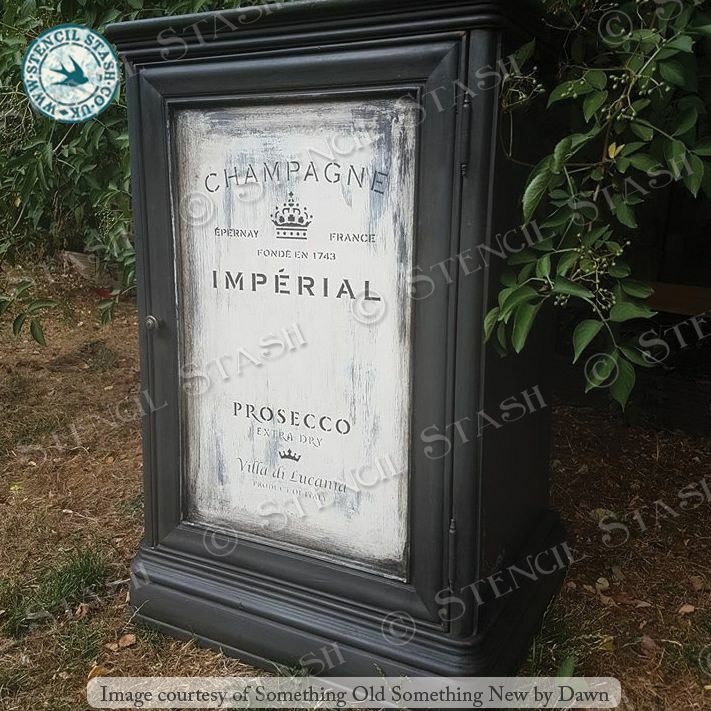 Perfect for adding a classic French look to furniture, boxes and crafts etc. 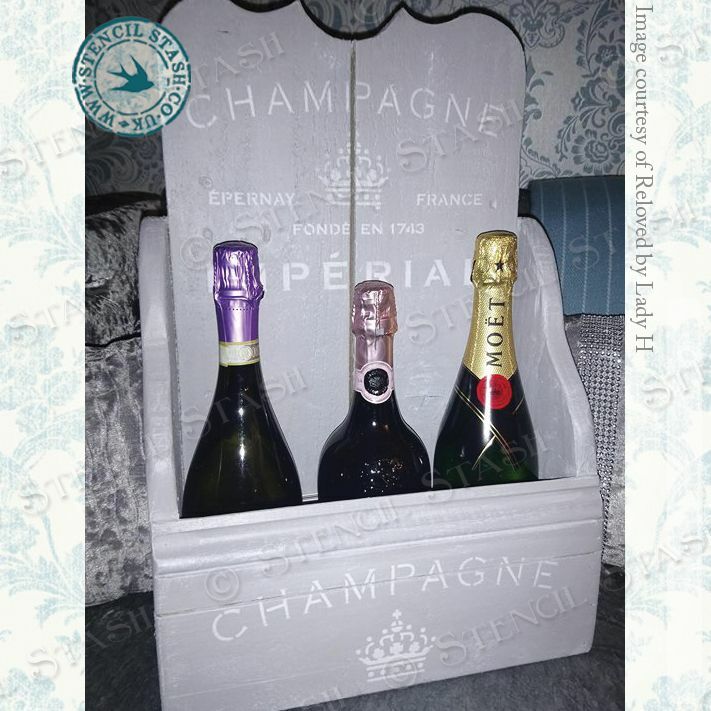 A6 design measures w135 x h85mm, 5.25 x 3.25"
A5 design measures w175 x h110mm, 7 x 4.5"
A4 design measures w260 x h165mm,10 x 6.5"
A3 design measures w375 x h235mm, 15 x 9.25"